Singspiration’s Adult Summer Choir is a non-auditioned choral opportunity for adults who love to sing, and it’s a great warm-up before the start of the choral season. 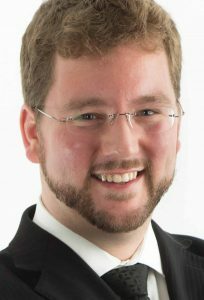 We’re excited to announce that this year’s conductor is Jordan Van Biert, founding director of Chronos Vocal Ensemble and Ante Meridiem, and conductor of Vocal Alchemy. Adult Summer Choir rehearses during Singspiration week on Monday through Thursday evenings from 7:00-9:30 and presents a concert in the Tegler Centre on Friday night at 7:30.